If you happen to be in Italy at the moment you will come across many different fried treats for Carnevale. 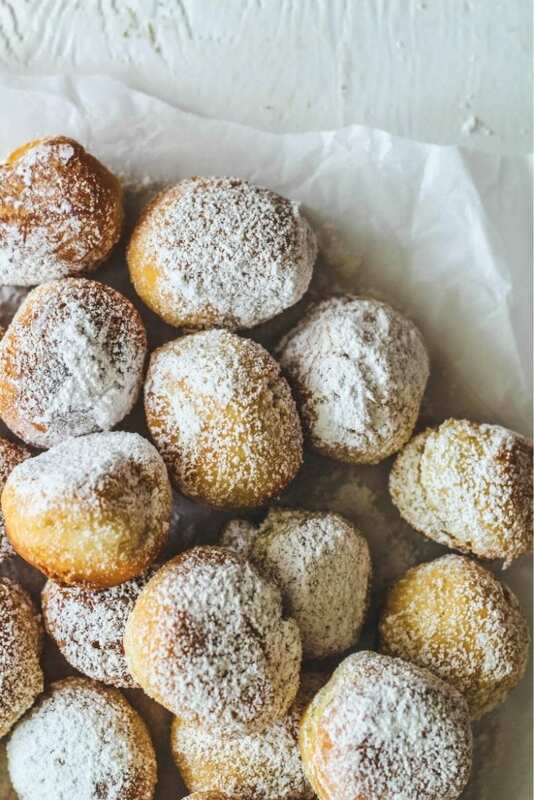 Castagnole are little fried sweet dough balls that usually have a slight touch of rum and lemon zest and are dusted with powdered sugar before serving. 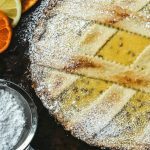 Almost every region in Italy has its own version of sweet fritters that are usually made during Carnevale time in February. The actual ’Carnevale’ is celebrated on the last Tuesday right before the beginning of Lent. It’s a feast time those 40 days leading up to Easter. 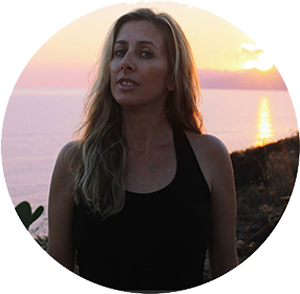 In Italy you will also be enjoying different fried treats plus luscious gnocchi dishes lasagne, and various other pasta dishes. 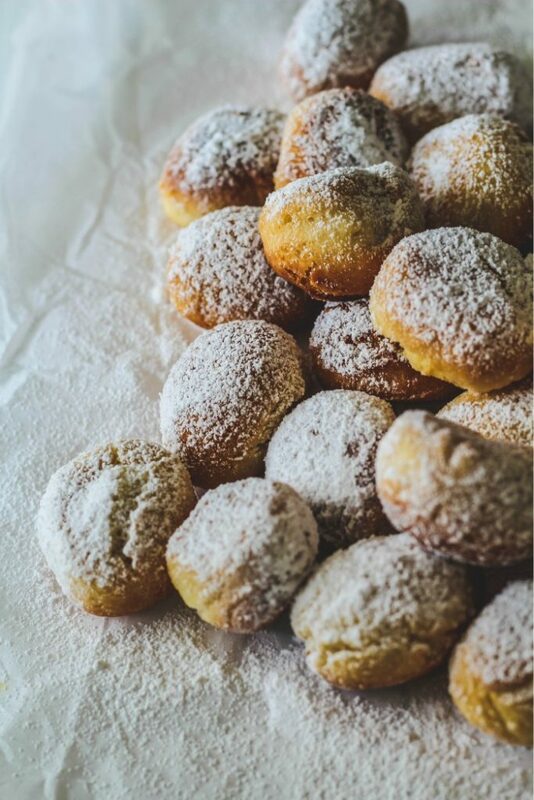 Castagnole are the Italian fried dough balls that you feast on just before the six weeks of Lent. There are so many variations but the one common factor is they are deep fried and irresistible! 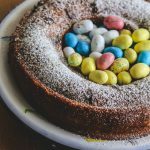 Castagnole can be found as a traditional Carnival-Carnevale sweet treat in so many regions of Italy: Abruzzo, Emilia-Romagna, Lazio, Liguria, Lombardia, Marche, Umbria, Veneto. These delightful sweet fritters are very quick and easy to put together!! You will be surprised how fast they are to make and you will find yourself making them not just during Carnevale time! If you aren’t into making treats using alcohol, you can totally leave it out (I did!). The typical castagnola (which actually means little chestnut, castagna, in Italian) is on the more firm side and they are not too sweet. There are other recipes out there that are very soft. 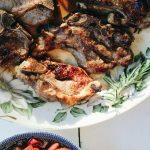 I’m mostly familiar with this recipe from my mother-in-law and it’s more firm and best eaten on the same day, which is typical of most fried treats. I made my version without any alcohol for flavoring and used lemon zest and vanilla extract. I also used oat milk instead of regular milk and margarine for my dairy free family member. But feel free to use butter and milk. 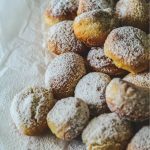 Castagnole-Fried Sweet Dough Balls are what you will find in so many places in Italy during Carnevale time. They are totally addictive fried treats that are dusted with confectioner’s sugar before serving! In a small bowl, add the flour, baking powder, lemon zest and whisk together; set aside. In a large mixing bowl add the butter, sugar, and vanilla; mix together with a wooden. Stir in the milk. Add in the flour and mix all the ingredients together. Dump the dough onto a lightly floured and clean surface and gently knead until combined, adding a spoonful of flour if needed if you find the dough is too sticky. When the dough is smooth, roll out portions a bit at a time into 1-inch thick logs and cut into 1-inch pieces. 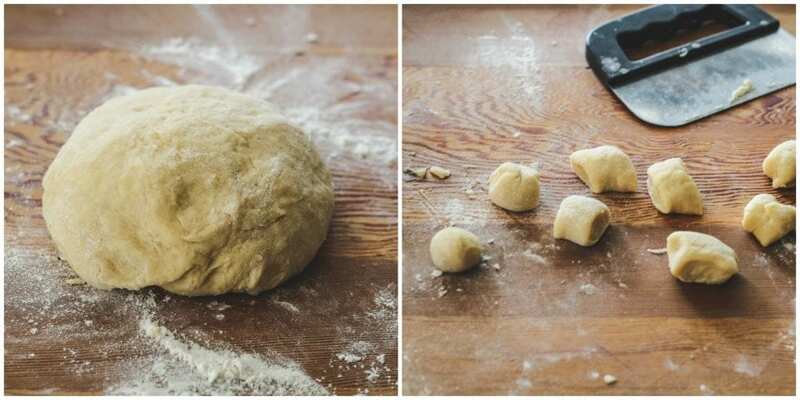 Cover the remaining dough with a clean tea towel until you are ready to work with it. Add the oil into your pan on medium high heat. When the oil is hot enough (temperature should be 350F), start adding about 8 dough balls at a time. Turn them around while frying so that all sides get color and that they aren’t raw in the middle. 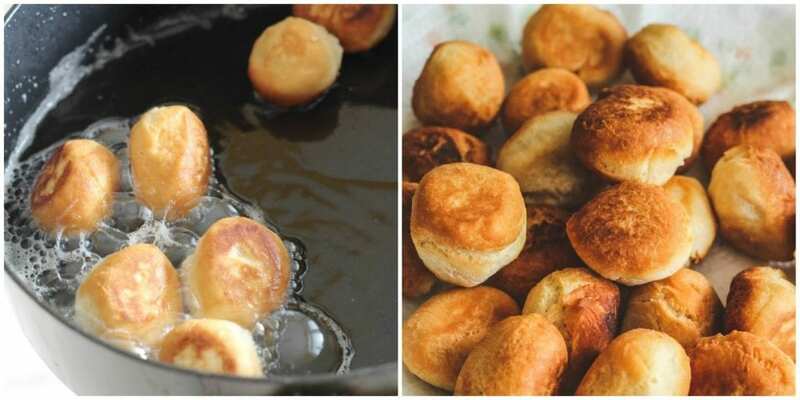 Remove the castagnole with a slotted spoon and place them on a paper towel lined plate. When completely cool, dust with confectioner’s sugar. 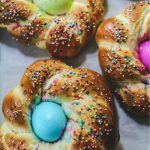 These look so crispy, sweet and delicious! Need to try them soon!